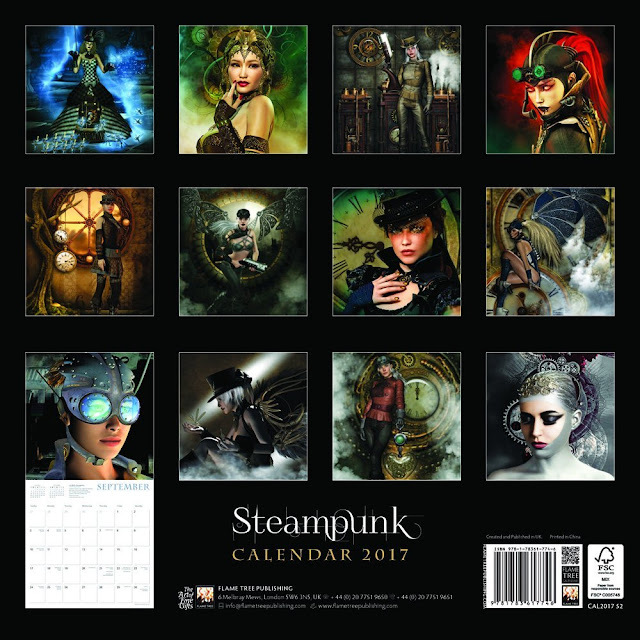 I know a few of my friends would love to get a Steampunk wall calendar for 2017. I find these to be incredibly inspiring and whimsical. 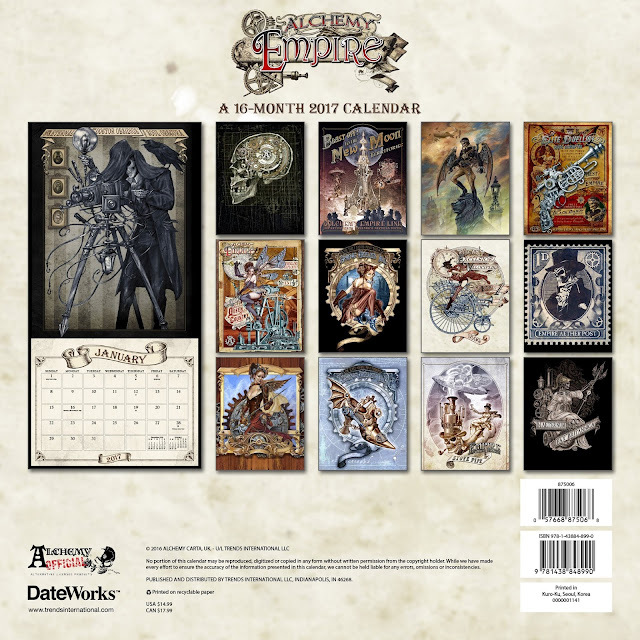 If you have some barren wall space at your office near your desk, you wouldn't mind filling it with some of these cool steampunk calendars. Take a peek at my three favorites! This Trends International 2017 wall calendar is the most macabre out of them all, in my opinion. So of course, it needs to be in my top three. I am in love with the burlesque outfits along with all the unique steampunk accessories, such as shoes! These illustrations are something I imagine ads would look like if we lived in a steampunk world. 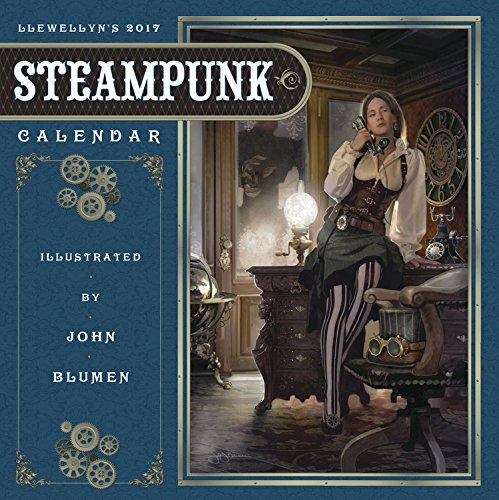 You can really step into the world of steampunk by looking at the pictures in this Llewellyn's 2017 Steampunk Calendar. The paintings are fairly realistic, so it's easy to really see what the world would be like. 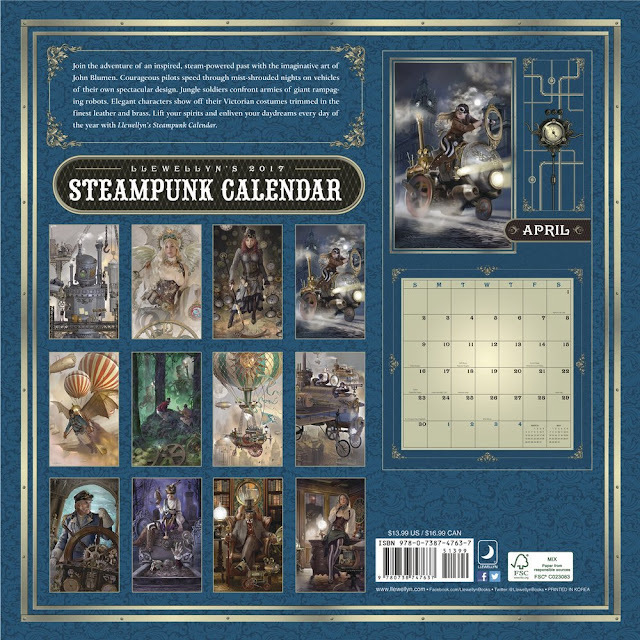 This calendar has quite a few steampunk inventions that I find really cool, such as the very elaborate hot air balloon automobile. 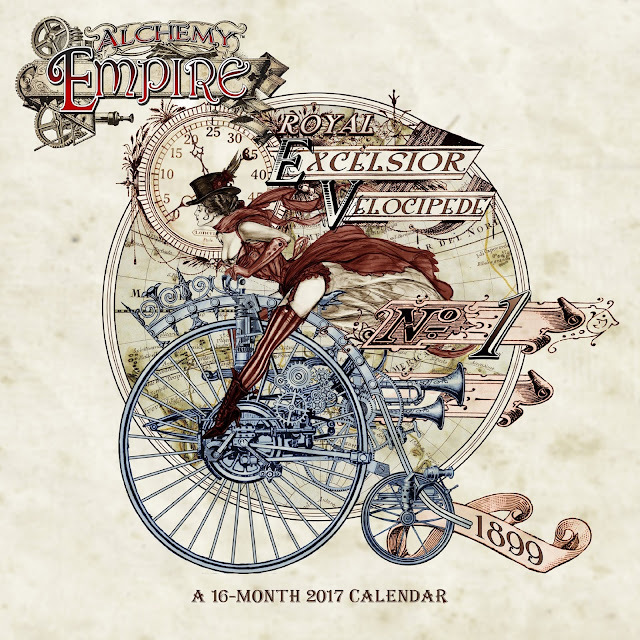 You're probably interested in a pinup style 2017 Steampunk calendar. I really enjoy this one since so many interesting female accessories are displayed. Obviously the array of hats and caps are really stunning, but some of the outfits are intriguing. The ladies are almost photo-realistic which is amazing! Do you or your friends enjoy steampunk in general? An easy gift for Christmas, birthdays, or just for the sake of giving would be a simple Steampunk wall calendar for 2017. Which one is your favorite? Tell me about it in the comments below! I look forward to hearing about it.